Provides expert guidance in performing the many complex roles oftrusteeship. 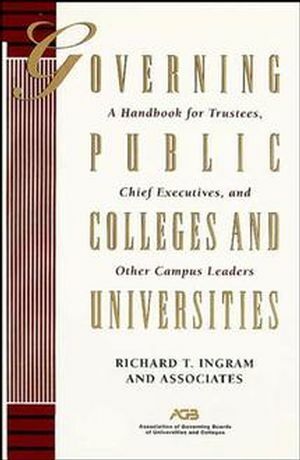 RICHARD T. INGRAM is president of the Association of Governing Boards of Universities and Colleges. He has worked in the fields of higher education trusteeship, administration, and planning for more than twenty years. Part One: Understanding the Environment of Public Higher Education. Part Two: Fulfilling Board Functions. Part Three: Developing the Public Board.